Saturdays 5 & 7 p.m.
Sundays 7, 9 & 11 a.m.
Sundays: 7, 9 & 11 a.m.
Saturdays: 4:30 & 6:30 p.m.
What does my future hold with retirement?” Will there be any social security left for me? 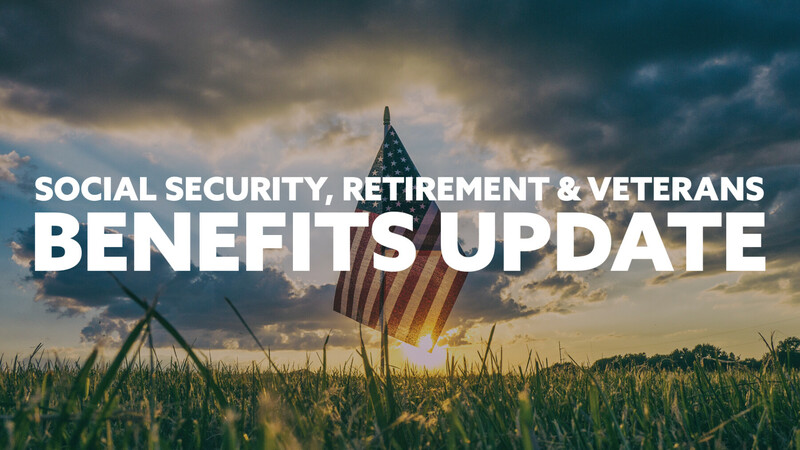 What are the latest veterans benefit updates? These questions and more will be answered at our meeting. Join us!